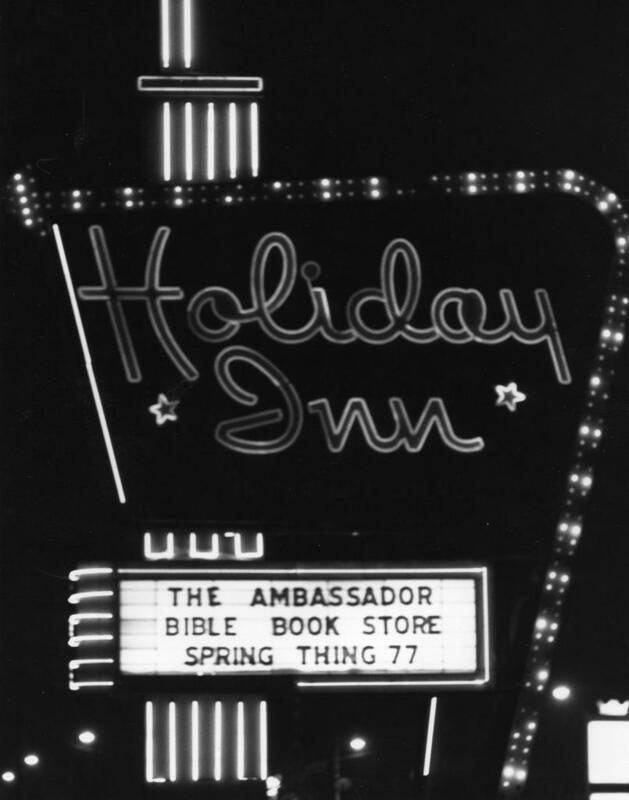 In 1971 I bought the local Christian bookstore. Four years later the Lord led me to launch Epistle Sports Ministries. Two years later I was asked to join Baseball Chapel as the Toronto Blue Jays chapel leader. For several years I looked after the Montreal Expos' chapel program as well. Talk about "mixed ministries". For 11 years they were all operating simultaneously. 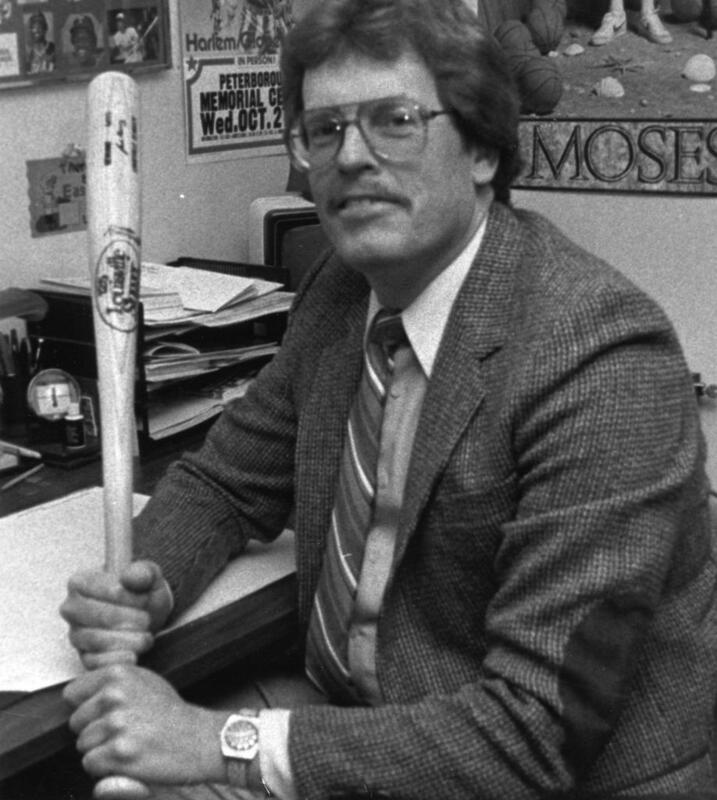 In 1986 the book store was sold and shortly afterwards I got involved with the various sports ministries on a full-time basis. Then I joined the staff at The Peoples Church in Toronto! Wow! Those were the days, my friends! 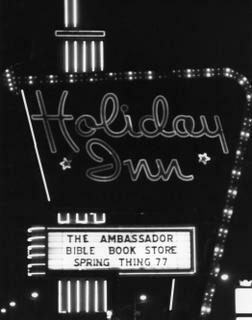 This picture was taken when I still owned the Ambassador Bible Book Store here in Peterborough. The Holiday Inn photo was taken the night of our Spring Thing, an evening when we showcased new products and invited customers and friends to join us. We'd never had our name "up in lights" before this.